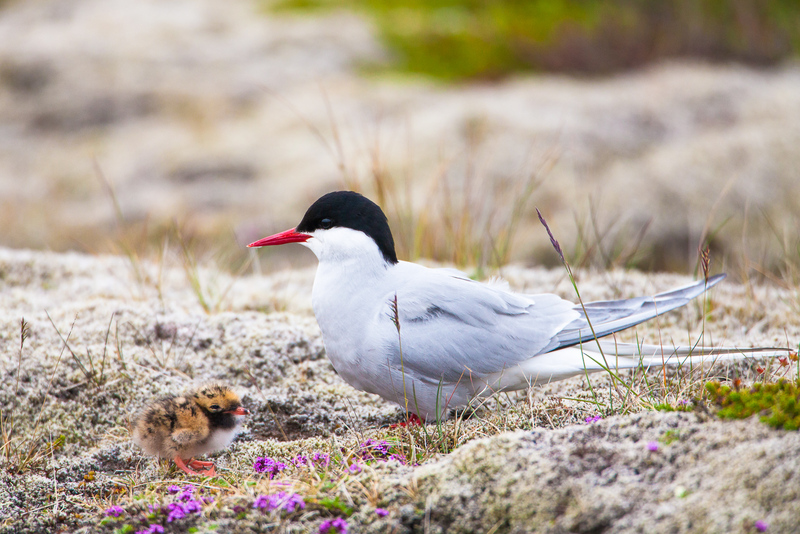 This arctic tern made its nesting grounds just south of the polar circle in Iceland. The hatchling has no idea of the long journeys ahead! Photo © copyright by Lance B. Carter.